Residents of San Jose, CA really can have it all; big city life, surrounded by the natural beauty of both the mountains and the sea. The heart of technology meets the stunning face of Mother Nature all tangled up with a shared passion (or rivalry) for an abundance of successful sports organizations. Whether you sport the golden jersey of the Warriors, or prefer the smell of turf at an Earthquakes game, chances are you value and appreciate fitness in some capacity. If you’re looking for a personal trainer in San Jose, you’ve come to right place. FitnessTrainer.com is in San Jose for one reason; to help you reach your potential physically. We can connect you to the very best personal trainers in your area who are ready to help you meet your goals. 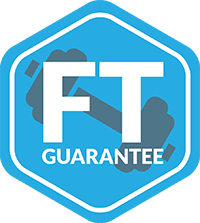 Whether you prefer the great outdoors, a gym setting, private in-home sessions, sports fitness, or yoga, FitnessTrainer.com can help you meet the exact right personal training for you at an affordable cost with both male and female trainers. We don’t promise that every step of your fitness journey will be easy. However, the first step is always easy with FitnessTrainer.com. We make finding your trainer easier than anywhere else. So, if you’re ready to meet your goals, live a healthier and more fit lifestyle, and turn heads in the city of San Jose, it’s time to get connected with the right personal trainer from FitnessTrainer.com.